Our range of products include vertical packing machine, collar ffs machine, sachet packing machine, automatic pouch packing machine and automatic flow wrap machine. We are the leading manufacturer of Vertical Packing Machine offered by us are among the finest that are available in the market. Manufactured by us as per the industrial norms, the offered products’ quality is always maintained. In addition, the systems are priced quite reasonably. 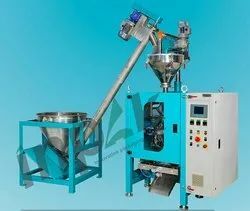 Usage/Application All Type of Granuals ,Pulses, Tea, Dals, Snacks,Seeds and etc. We are among the leading manufacturers and suppliers of utmost quality Collar FFS Machine. Before the final dispatch, our offered machines undergo several quality checks by the quality controllers. Known for their performance, sturdiness and minimum electricity consumption, these machines are highly demanded among the vast clientele. 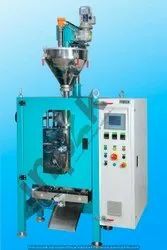 We are among the industry veterans, engaged in offering Fully Automatic Powder Filling Packing Machine to our esteemed customers. These machines are painstakingly designed by expert professionals and are regarded for their hassle-free functionality. These machines fill in accurate quantities of the spices and provide high operational efficiency for the customers.